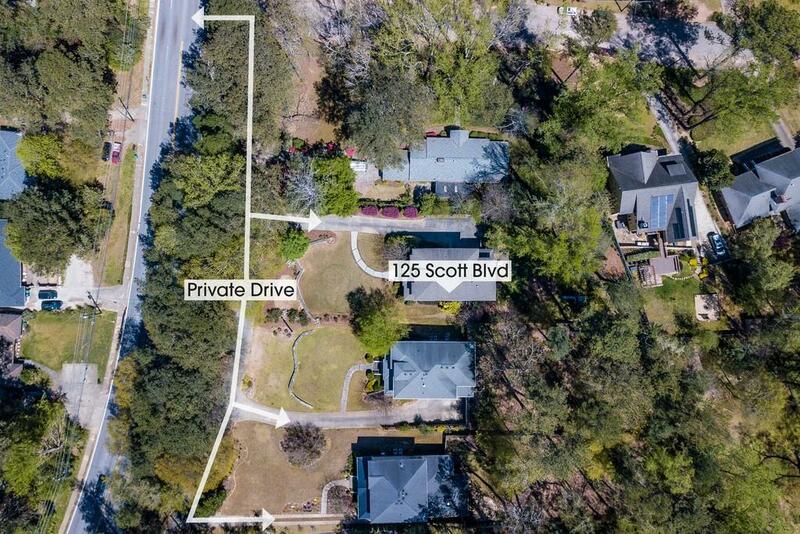 DONT LET ADDRESS FOOL YOU - NOT ON SCOTT! 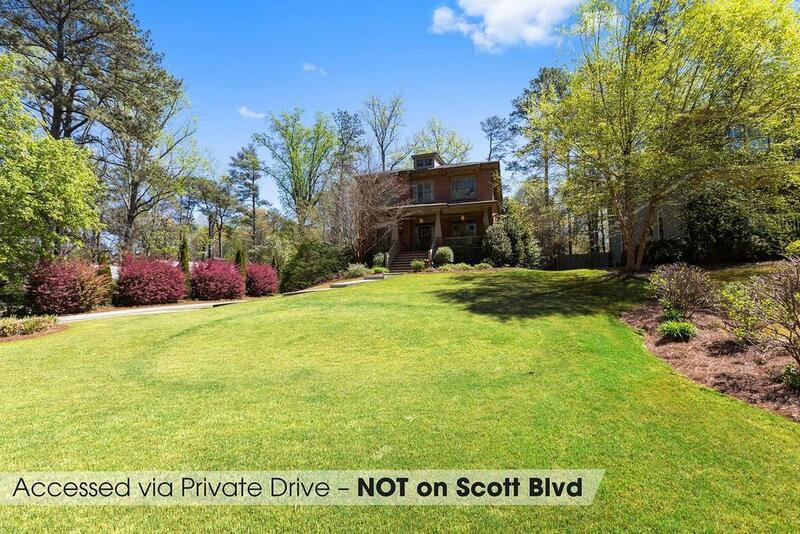 Secluded Estate on PRIVATE drive perched high above Scott. 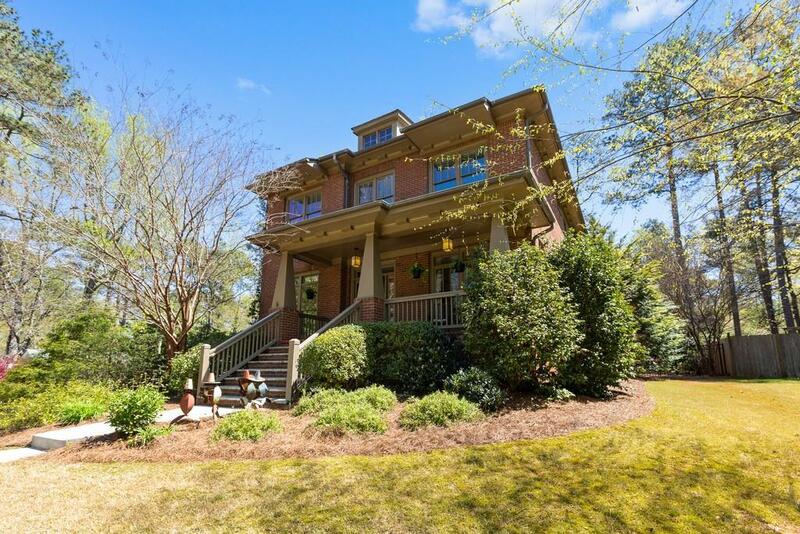 Over acre lot in City of Decatur - This elegant John Willis build will WOW you w/3 levels, 2 car garage, &HUGE yard. Go BIG w/expansive dining rm, living rm, Kitchen/Great rm combo &floor to ceiling windows bringing the Green in. 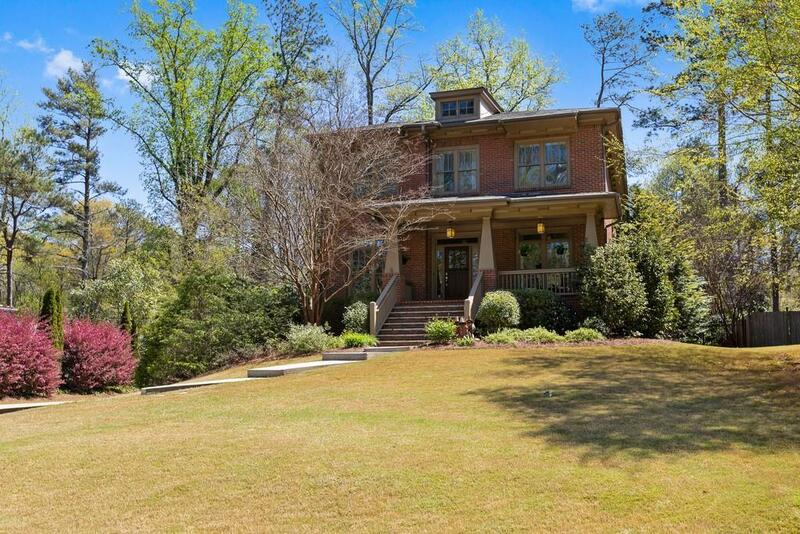 Scrned porch, deck&fenced yard perfect for entertaining! 4beds &3baths upstairs. Sanctuary Master suite w/sitting room&spa ensuite bath. Basement w/media rm+bonus, office/5th bed w/private entry, stubbed bath. Walk to Downtown Decatur!